The nature of special and limited editions have always been something of a controversy for most gamers. The question is consistently raised: Is the extra content worth the increased value? In some cases, this is an obvious No. More than an occasional game has been released in the form of a special, collectors, or limited edition, and the additional content has left gamers asking, "Are you serious?" For a large portion of gamers that don't view their games library as a collection this is always the case, as the appeal of a Steelbook case, developer interviews, artbook, or behind the scenes content aren't going to sway the opinion of those who aren't already interested in these things from the first place. Other gamers are disappointed when the content included in a special edition isn't quite as special as it had originally seemed. Preordering the special edition of Viva Pinata for the Xbox 360 left more than a few gamers disappointed with the ridiculous product they ended up receiving. The last portion of gamers includes those desperately seeking limited editions in any variety. Similar to the DVD market, games have been slowly appealing to this expanding customer base, that is to say, games with the exclusion of releases for the handheld platforms. Where popular releases like Halo 2, Gears of War, Elder Scrolls 4: Oblivion, and others are all receiving a deluxe treatment for home consoles, the very task of thinking of a single handheld special edition is more difficult than it seems. 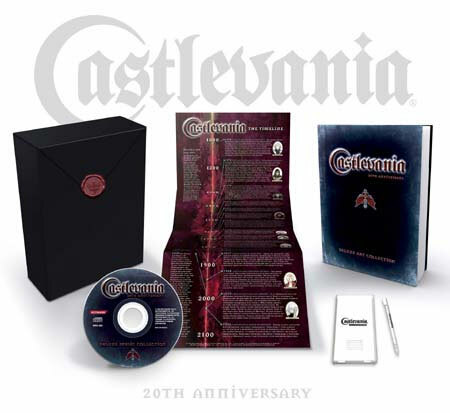 The occasional preorder bonus peppers transactions, like the case with Castlevania: Portrait of Ruin, which delivered a swath of extra content that parallels and even exceeds most special editions, but these preorder bonuses are retailer specific and, in general, rarely as appealing as this particular instance. The leading handheld games have been shown to have sales that are growing more similar to the sales of console games, so why should handheld gamers be excluded the extra content that is becoming increasingly popular? Other territories have been less hesitant in adopting limited, and bonus content for handhelds, so why should American companies choose to ignore this? It is realistic to suggest that the very nature of the Japanese gaming culture is more comfortable and interested in special editions than those in America, but by companies choosing not to even attempt limited and extra content, they're condemning the practice before they've even explored it. Who is to say that Americans weren't just as interested in a special edition for Resident Evil Deadly Silence as the Japanese? In short, Capcom, because the question surely hasn't been posed to the American gaming public. Nintendo, it seems proves even more prudish, as they refuse special editions for basically all their releases, whether for handhelds or home consoles, in America or Japan. 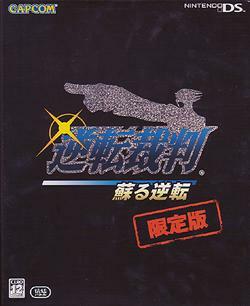 Some popular titles that have seen special or limited edition content in Japan include Gyakuten Saiban: Mask Vision Murder (Phoenix Wright), Biohazard Deadly Silence (Resident Evil), and a number of others. One of the most potent examples of how far special editions can go for those interested is in the DJ Max Portable 2 Orpheus Edition. The package comes in two versions, delivering an outrageous amount of content for those interested in the series, and it retails for close to $150.00 at most import outlets. This package might seem like overkill, but if a product is truly limited, wouldn't there be at least enough customers to fulfill the demand for creating something similar. The only justifiable reason companies have to ignore delivering special editions for handhelds lies in the nature of the platform itself. Handhelds, particularly the DS, just aren't going to be able to provide the capacity for developer interviews and videos of behind the scenes content like those on home console special editions. This excuse is notably less valid when considering the PSP, which is at its core, a machine designed to be able to provide the type of media that is so commonly included in special editions. Even if this is the case, companies should be exploring what other type of content could be included in special editions. Physical content like books, artbooks, collectibles, and improved artwork or cases are simple examples of what could propel something beyond a standard release. For those that have experienced the bounty of receiving a reviewable copy of a Nintendo product, content like this isn't out of the ordinary. So, why is Nintendo so willing to offer these bonuses to those reviewing their products, but not to those who are actually shelling out the cash for a game? The market is obviously present for game special editions; the brisk sales of special editions like the Gears of War limited edition have proven this. Proposing that companies respect our desire to receive content like this is the only probable course left to consumers, and unfortunately, most aren't willing to make the effort, or they're content in claiming how rarely asking the powers that be actually works. The state of special editions for handhelds might be the direct result of game companies being unwilling to produce them, but the ultimate blame lies in the consumer for refusing to propose their interest. Taking the first step in demanding more from a games release lies on those who feel they should be receiving more. Sending that first letter to Nintendo, Sony, or Capcom is all it takes to let them know your opinion, and one letter is only the catalyst to 10, 100, or 1000 others. This is a call to arms for those who are seeking special editions, or are jealous of how often Japan seems to reap the bounty of additional content. Take the little time and effort it requires to demand more.